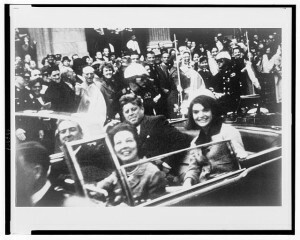 Investigative writer Anthony Summers makes a compelling case for a new suspect in the frame for the assassination of President John Kennedy in Dallas in 1963. “Dallas is a hotbed of extreme conservatism, the only major city in America to have voted for Richard Nixon over Kennedy in 1960, and now here the president stands, with a copy of today’s Dallas Morning News. It carries a black-edged advertisement ”welcoming’’ the president, placed by a group calling itself the American Fact-Finding Committee. 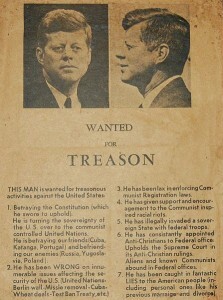 The ad consists of a list of accusatory questions: why is the Kennedy administration approved of by the US Communist Party? Why is the CIA being asked to arrange coups against Washington’s anti-Communist allies? And so on.